Are you buying a great investment or a lemon? 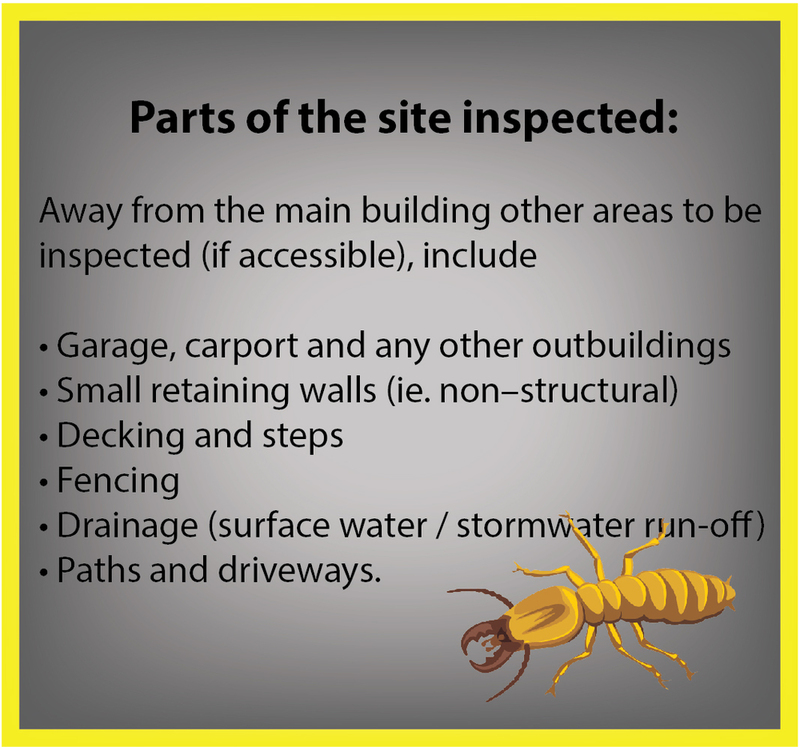 For thorough building and pest inspections across the Gold Coast, call us, we're here to help! When you are buying a property, pre-purchase building and pest inspections are a must. Whether the family home or investment property, it is vital these pest and building inspections are carried out before purchase or bidding at an auction. These inspections are like a “health check” on the property – you want to make sure you are buying a sound property with no issues. Skipping these inspections can lead to financial disaster! Buying a home can be a stressful experience and it can be difficult to organise the necessary pest and building inspections, especially if you need to contact two different companies; one for the pest inspection and one for the building inspection. Gold Coast Pest Services take the hassle out of the process as we can provide both the pest and building pre-purchase inspections. for your pre-purchase building and pest inspections? We work for you (not the real estate agents) and won’t be rushed to complete an inspection. You are making a big purchase and its important you have confidence that we have done a thorough inspection. If you are buying a home through private treaty (when you negotiate the price), you have a 5-day cooling off period when you can get the building and pest inspections carried out (if you have not had them carried out before negotiating the price). You can then re-negotiate or pull out of the sale during the cooling off period if the inspections find any issues. However, if you are buying through an auction, don’t forget to have your building and pest inspections completed before the auction. Once your bid is accepted there is no turning back. Property investment is a major commitment. As such it makes sense to protect your property. With termite damage not covered by most home insurance it makes sense to have annual termite inspections and consider installing a termite management systems to protect your investment. Annual termite inspections are a great way to get an extra set of eyes inspecting your property, making sure it is being maintained and in good condition. If you are selling your home, no doubt you are carrying out a number of jobs (big and small) to prepare the house for sale. A great idea is to pay for your own building and pest inspection on your property before you put it on the market. Not only does it identify any potential problems which can be fixed before putting it on the market (ensuring a quicker sale and higher price) but assuming the reports are all good, it also shows potential buyers that you have nothing to hide. What’s included in our pre-purchase inspections? Pre-purchase building inspections are designed to determine the condition of the house before making a decision to purchase the property, so you can determine if there are any major issues (big or small) that will need to be remedied. Common building defects that are identified during inspections include rising damp, leaks or draining issues, cracked walls (which may indicate wall / soil movement), leaking roofs and safety hazards. Any estimates for repair can then be obtained so that a purchase decision can be made, negotiating on price as required. It is important to remember pre-purchase inspections are visual inspections, which are carried out according to Australian Standards AS 4349.1. In addition to the standard parts of the building and areas of the site that require inspection, our inspectors will “ follow their noses” and inspect suspicious areas further, using moisture meters if required. If there are any areas on the property that you want us to take a close look at, please let us know. 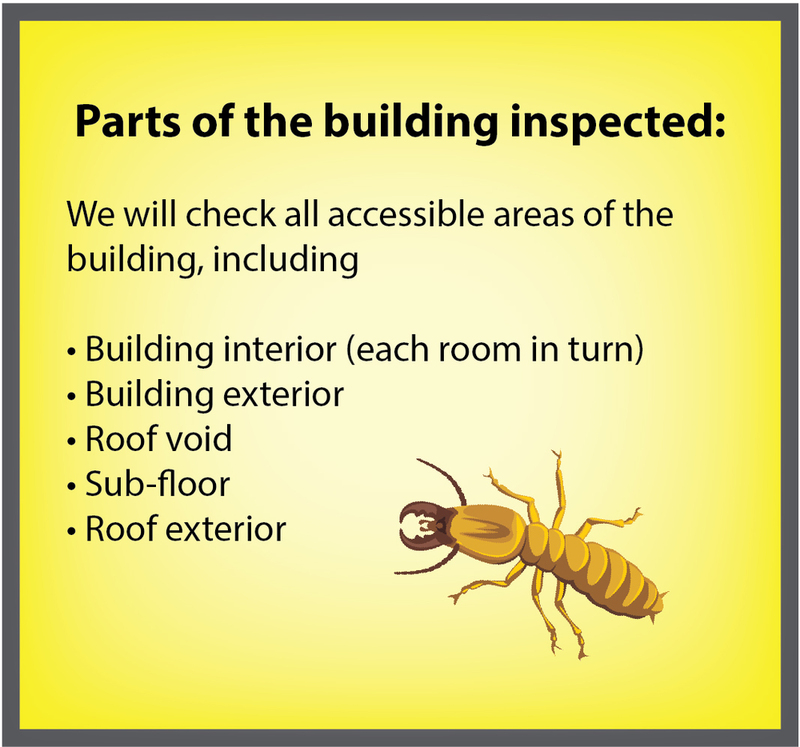 It is important to remember a building inspection report is separate to a ‘pest inspection report’. Although a building inspection report should identify any visual termite damage, it is not specifically looking for termites, borers or wood decay. That is why it is important to have both a building inspection and a timber pest inspection before buying a property. Although these inspections are often called pest inspections or termite inspections, they are more accurately called timber pest inspections. This is because the inspection is also inspecting for wood borers and fungal wood decay, as well as termites. As well as looking for the pests themselves, the inspection is also looking for signs of damage and any conditions that are conducive to pest activity. It is important to remember pre-purchase inspections are visual inspections, which are carried out according to Australian Standards AS 4349.3-2010. Timber pest inspections cover all the same areas of the building and site as the building inspector. For termites it is important to cover up to 30m from the main building to inspect for signs of termite activity that may become a future threat to the property. Our standard equipment includes the Multi Facet Donger, a “tapper” for sounding wood and a moisture meter for detecting leaks and areas of moisture, which can be attractive for termites. However, we also use our thermal imaging cameras and motion detectors to investigate any suspicious areas. As we use different inspectors for building and pest inspections to ensure the highest level of expertise, you also have the confidence that you have two sets of eyes looking over the property, minimising the chances of missing a problem. Our reports are detailed multi-page reports, including photos where appropriate. These reports are detailed, large reports and although they provide a lot of detail there is a bit of legal wording as well. We always welcome customers to be on site with us so we can discuss and point out any findings in person. Of course, if you are unable to be present for the inspection, we are more than happy to discuss the findings over the phone and we are also able to provide a short video for a small additional fee. You will receive separate reports for the building inspection and timber pest inspection. As well as providing a list of the major findings, they will also list any areas that were not inspected and the reason why it was not inspected. Importantly, it will make recommendations for additional inspections, if there are areas of concern. For example this may include specialised inspections by a structural engineer for building faults or invasive inspections to quantify termite damage. Separate formal agreements for the building and pest inspections must be signed before the inspection is carried out. This is an important legal document that protects both the inspector and you, the customer. For many, buying a property is the biggest investment they will make. It is therefore important you choose a quality inspection company. When you are buying a property for hundreds of thousands of dollars, it doesn’t make sense to choose an inspection service on price. Be aware of companies that don’t go through every aspect of your property. Whereas each property will take a different length of time to inspect, an average inspection time would be around 1.5 hours. Certainly be suspicious of any inspector who can complete an inspection in less than an hour on all but the smallest properties. Be aware that home sellers who know they have a problem will try and hide the problem from the inspectors. For example, it is not uncommon for home sellers to place heavy furniture in front of something they want to hide. As an inspector, we are not allowed to move any furniture without the homeowner's permission. If we are suspicious we will make note of this in our inspection report and will often recommend a further inspection.